Siddhartha Gigoo was born in Srinagar, Kashmir. His first novel, The Garden of Solitude, was published in 2011. He has also produced and directed The Last Day, a short film. Goodbye, Mayfly is Siddhartha's latest film. His writings have appeared in various literary journals. He works for the Tatas and lives in New Delhi. I first heard about the author when he won the Commonwealth Short Story Prize (Asia) in 2015 for his short story, The Umbrella Man. I remember being struck with the raw beauty of his writing. He has a way with words, the way he emotes through them was something that actually made me read his previous works. Though I am guilty of being largely absent from social media, I faintly remember a couple of his write ups on Kashmir, personal in nature which depicted his memories but even in those, his writing was something that stood out. I remember being moved beyond words at the end of that twitter thread, such was the power of his narrative. Coming to Mehr-A love Story , it is a profound narration of the extent a person can go in both love and hatred (or anger). It is an amalgamation of every thing that this country is currently grappling with - religious divide, politics, cross border tension, inter-religion love stories, honor killing, treachery and the revenge that almost everyone is seeking for multiple reasons.The underlying anger and tension is palpable in common man and that is scary at times for you don't know which form this anger can/will take. 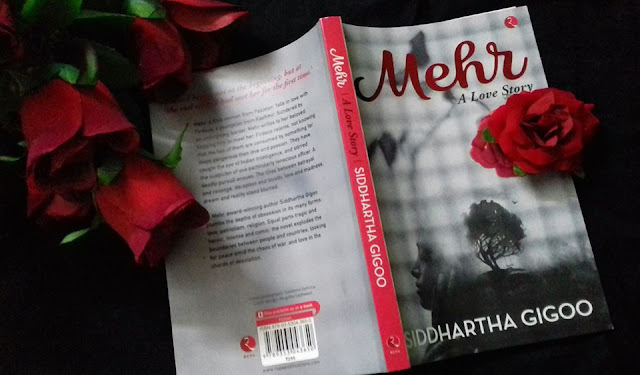 The characters of Mehr and Firdaus are addictive, just like Siddhartha Gigoo's writing. By the time you reach the last page of the book, you don't want it to end. You want more out of these two, out of the book and from the story. Sample this poetic line the author uses to describe a female character. "The mirage, the celestial raphsody and the dancing lights, owed her beauty to her birth." "I do not want this, Firdaus. I can't bear it anymore. Don't give up on me. Don't abandon me. I am falling apart." The lucid writing, doesn't fail to bring out the depth of the emotions behind them. Layered with liberal doses from real life and sprinkled with fiction, the author has weaved a heartwarming tale of love and longing. In a way it has everything that could make it a proper Bollywood movie - action, romance, emotion, drama, revenge and ofcourse little bit of humor also. 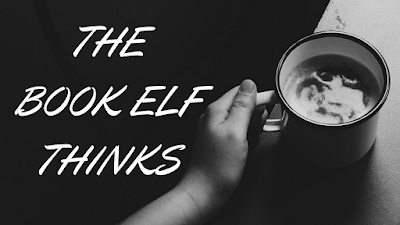 Yet there is something that makes this book different than every other love story. Some might say it is the treatment, some might say it is the writing while some like me might say it is Mehr and Firdaus who make it so different. Neatly divided into four segments, the names of each chapter are alluring and inviting. As a reader the more I read this book the more I found something new to fall in love with starting with cover, blurb to characters and the narrative. I simply loved the letters, they were truly poignant, mesmerizing and evocative. "Music suppresses everything - pain, memory, anger." The story will make you question a lot of things including the Partition, religious divide and the so called destiny which decides to make people fall in love but not unite in that love. The questions will tug your heart but still reading it is deeply satisfying. Siddhartha Gigoo's Mehr is a reminder of what we need the most in the world today - love... endless love, nothing more, nothing less. This is one book I will keep going back to, especially when my soul needs a heartening read which leaves me feeling contended. Strongly recommended to all romance lovers and to all believers in the magic of love! This book is like Vendakka Paal Curry Recipe (Kerala Style Okra-Coconut milk Curry) - a dish that I happened to have only once in my life and still swear by the delectable flavors it consists of.